Tucked into Jayanagar’s shopping complex, Anemane Organics is a pretty little store which is keeping it real with its natural line of products — from lipstick to coffee. We chanced upon this hidden gem as we were getting our shopping on in Jayanagar 4th Block’s shopping complex. This quaint little store stood out like a sore thumb in the hustle and bustle of the rest of the market. Walking in, we found shelves stocked with everything from gluten free quinoa pasta to bags of chia seeds and neem powder. We also found old school faves like amla candy, horse gram chutney powder and peanut chikki on their shelves. There is a section of the store that we can only describe as a glorious spice rack with its shelves stocked with beautifully packaged cumin, mustard, sunflower seeds, cinnamon and cloves. So if you’re looking to restock your home’s masala dabbas with natural and unadulterated powders and seeds, this is your place. With their prices starting at around INR 100, spend your next grocery run at Jayanagar. Another cool thing about Anemane Organics is how incredibly organised the store is. The have an entire shelf dedicated to all your brekkie needs, with breakfast foods like their honey-coated muesli, barley flakes and rye flakes, so you pack a whole bunch of nutrients and fibre into the most important meal of the day. They also have a pretty wide selection of teas to pair it with, from masala to oolong. 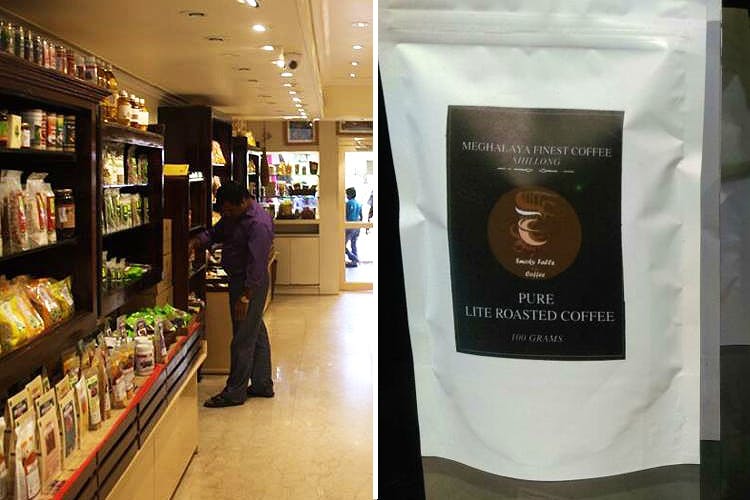 We also spotted a bag of Lite Roasted Coffee from Meghalaya that smelled as divine as you would expect it to. We also found a whole range of all natural cosmetics from brands like The Soul Tree, with lipsticks in deep red hues and kajal too. We also spotted essential beauty oils, from tea tree to lemon. Apart from this, there was also a whole range of body scrubs and soaps in luxe flavours like citrus sugar, vanilla cinnamon and cocoa butter.